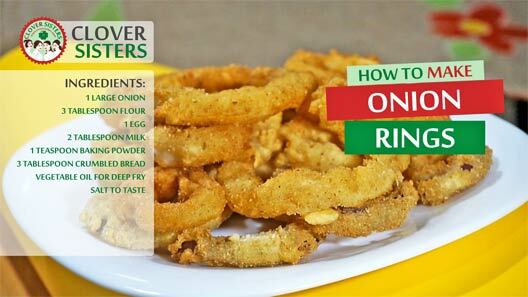 Onion rings are adorable food, kids will love it even if they usually avoid onions in the plate. 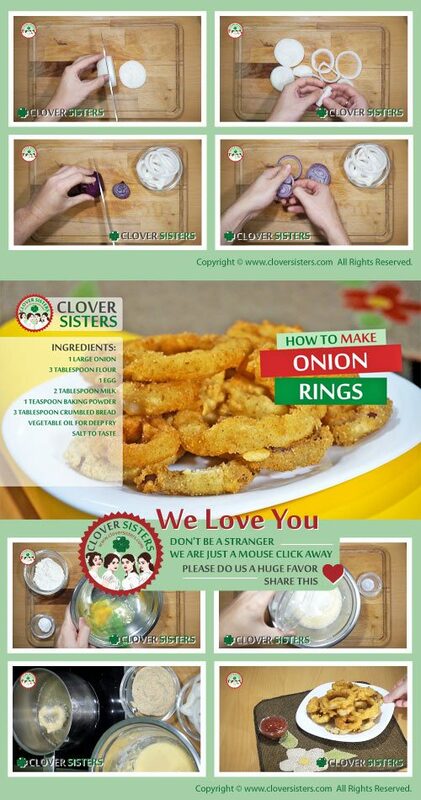 Check our easy instructions video and bring to table this crispy worm surprise. Separate the rings and cover them with the flour and set aside. Add the egg, milk and baking powder into flour and mix. Spread the bread crumbs on a tray. Heat the oil. Deep the ring into flower mix, then into bread crumbs and in the hot oil. Fry until golden, season with salt and serve.